Personalized Love Mugs Just $7.99! Down From $20! Shipped! You are here: Home / Great Deals / Personalized Love Mugs Just $7.99! Down From $20! Shipped! TODAY ONLY! 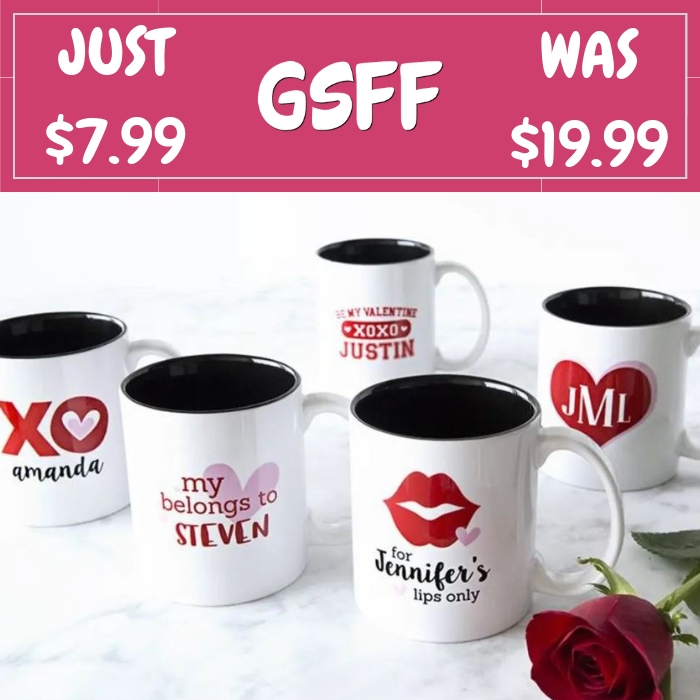 Hurry over to Jane where you can score these cute Personalized Love Mugs for just $7.99 down from $19.99 PLUS FREE shipping! Declare your love with a fun and fabulous Personalized Love Mug. Let someone special feel your affection every time they use their pretty, personalized mug that has been created just for them. These high-quality porcelain mugs will contain a full 11 ounces of a favorite beverage and feature a stylish and attractive black interior. Simply add your personalization and they will do the rest to create the perfect gift.